We all have good intentions when it comes to smart eating, but making better habits stick can be a challenge. Incorporating one nutrient-packed smoothie into your daily routine offers incredible benefits, and The 21-Day Healthy Smoothie Plan will give you everything you need to make smoothies a delicious part of your healthy lifestyle. Our author is Jennifer Koslo, an RD, Registered Dietician. Nutrition, fitness, health and wellness have been her lifelong passions. She is a Certified Specialist in Sports Dietetics, (CSSD) and an American Council on Exercise Certified Personal Trainer. She is a regular contributor to WatchFit.com and eDietitians.com. Additionally, she teaches nutrition and sports nutrition online as an adjunct professor within the Maricopa Community College District and for Le Cordon Bleu College of Culinary Arts. 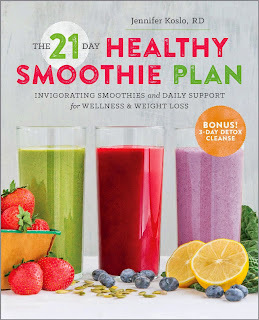 I was happy to read The 21 Day Healthy Smoothie Plan book. My family and I have recently decided to start each day off with a nutritious smoothie and after experimenting for a couple weeks I thought I would do some research to create the most beneficial smoothies for each of us. 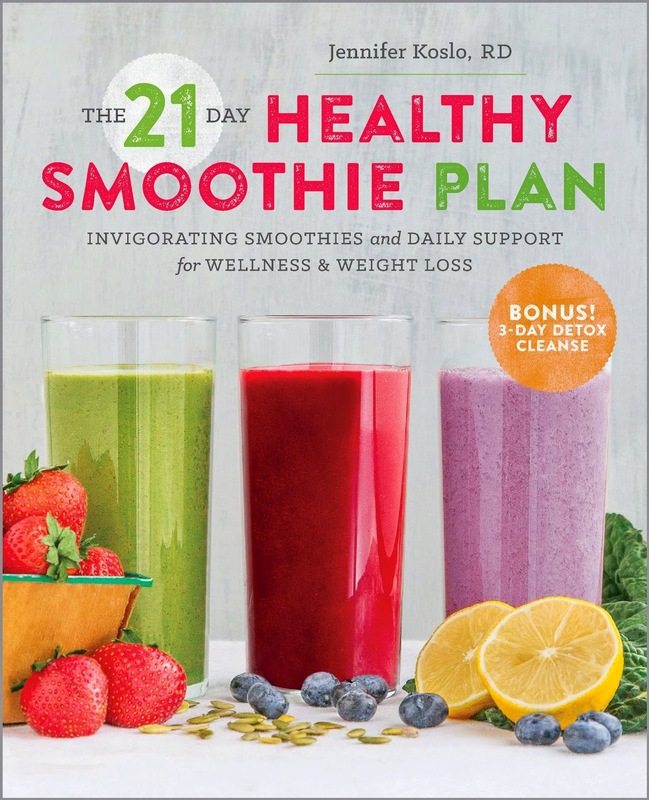 I like that this ebook breaks down each day with a different smoothie so my family will not get bored of the same strawberry banana smoothie each day! I really like the salads that go with each day. I think this combo of a smoothie and salad makes the 21 days bearable. I like that we get to try combinations that we would have never thought of ourselves. The information in this book is invaluable. I learned a lot of new food facts that helped guide me to make the best smoothies for my family.